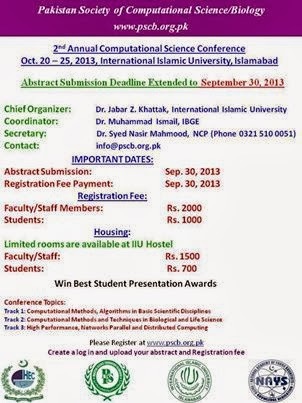 The 2nd Conference on Computational Science and Its Applications will be held on October 20-25, 2013, in Islamabad, Pakistan. Computational Science is a main pillar of most of the present research, industrial and commercial activities and plays a unique role in exploiting ICT innovative technologies. 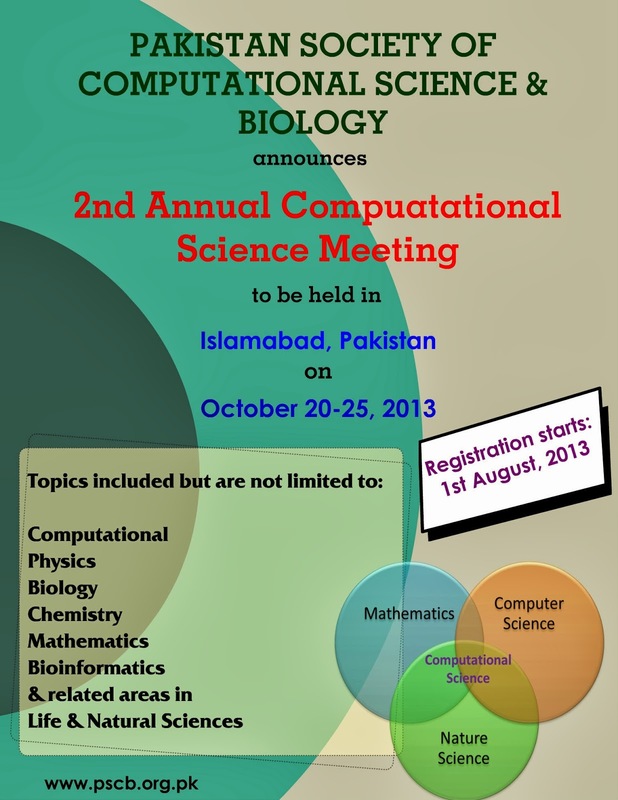 The Pakistan Society for Computational Science/Biology conference offers a real opportunity to bring together scientists of different disciplines, discuss new issues, tackle complex problems and find advanced solutions breeding new trends in Computational Science.